Buying a home is probably the biggest investment you will make, with long-term financial ramifications. It calls for many informed decisions and for good advice from a real estate professional. When buying a home, you can learn from the knowledge and skill of a Real Estate Agent. As a Realtor, I subscribe to the Code of Ethics of the National Association of Realtors, the Texas Association of Realtors, and the local Greater Fort Worth Area Board of Realtors. What can I do as a Realtor to help you find and buy the right home? I will help you work out a realistic idea of the home best suited to your needs - size, style, features, location, and accessibility to schools, transportation, shopping, and other personal preferences. I have access to a listing of all available homes in the multi-list system, can evaluate them in terms of your needs and affordability, and will not waste your time showing you unsuitable homes. 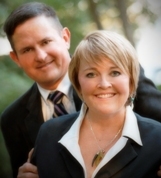 Although the law does not normally require an attorney to review documents or oversee real estate closings, I can provide you with a list of law practitioners to choose from if you would like to use the services of an attorney. I can help familiarize you with the closing process and I will obtain closing figures in advance of closing for your review and be there with you at the closing of your home. I can provide you with a list of qualified home inspectors, pest inspectors, surveyors, suppliers, vendors, subcontractors, and help to coordinate inspection appointments. Most importantly…I will be there for you long after the closing process has been completed for any questions you have in the future…long after everyone else is long gone. Ask me about my Customer Appreciation Program. I want to be your Realtor for Life!!!! Home sellers won't call you with an offer to buy a maintenance-free home with a wonderful mortgage. You have to find the gems yourself! Only by reading available materials, talking to friends and experts, and spending time looking at different homes, schools, and neighborhoods will you end up with your American dream. Avoid the nightmares by learning how best to buy and maintain a home. I can help you with this because of the resources, education, training, and knowledge I have available…just ask!!! This is what I do everyday and it is experience you can count on!!! Every important decision needs to be clearly thought out. Developing a home buying plan can help you focus on the important factors and organize the entire process. You may even want to use a binder with sections on house hunting, home financing, service providers, etc. Loan pre-qualifying helps you determine the home price you can afford and presents you as a genuine prospect to the seller. A lender typically uses the 28% formula (your monthly mortgage can't exceed 28% of your monthly income) in approving your loan, but can be higher based on the loan type and your credit score. Planning your actions and getting pre-qualified will keep you out of the panic mode, allow you to take advantage of opportunities, and most importantly, risk losing money. A thorough plan will save both time and money! Decide how much money you have to work with, where it is coming from, what type of loan is best suited for you (fixed, adjustable, FHA, VA, Conventional, USDA, etc. ), and get all the required documentation together ahead of time to save time and frustration. Getting a mortgage pre-qualification letter also allows you to shop for your home with confidence too!!! This can be done quickly and easily. Ask me for a list of lenders that my previous clients have had great experience with…I can help you avoid some of the nightmares that exist out there!!! My previous experience in mortgage lending really helps out in this arena. The days of 10-30% annual appreciation have passed. Homebuyers in the 1970's benefited tremendously from what seemed like ever appreciating home prices. Nowadays, you're looking at slow growth while guarding against the possibilities of falling prices, skyrocketing ARM rates and corporate layoffs that can dramatically affect your home values. The classic rule of buying the worst house in the best neighborhood still applies. If you buy with an eye towards improvement, you can customize the home to fit your needs. The saying, "make money buying a home, not selling one," should keep you focused on the long-term importance of the purchasing price. Location, location, location is now accompanied by value, value, value!!! Ask me about a comparative market analysis on the purchase of that pre-owned or new home, so you can see how that home compares value-wise to others in that area you are interested in. Newer homes provided by Homebuilders may make you think you are getting a “bargain” with all the incentives that they throw out at you, but the reality may show something quite different. That is especially why a Realtor is important to have when negotiating any purchase with a Homebuilder. A Homebuilder’s incentives that are given to a Buyer are always tied to that Buyer’s ability to negotiate…and most Buyer’s do not have the skills nor the tools available to get the real value, much less the real story and every Homebuilder knows this!!! When shopping for a home, list the features (fireplace, fenced-in yard, new appliances, etc.) that are most important to you in deciding on which home to buy. Establishing "your criteria" early on will save time shopping for inappropriate homes and may keep you from buying a home on a whim. As detailed in Tip #3, your top reason for buying a home should be the value you are getting as well as the location and lifestyle change you are searching for. Some of your top 10 amenities should logically be sacrificed if an incredible value is available and the location is right. You are about to make one of the most important decisions that will affect both your life and the life of the seller. If you take time to understand the reasons the seller bought the home, their reasons for selling (which is sometimes hard to find out), and the home improvements they have or have not made, you'll be in a better position to evaluate the home and negotiate a better deal. This is usually an emotional time for the Seller as well as you. One of the biggest decisions to make before putting a contract on a home is how to finance the purchase. How much money do I have to have and when do I have to have it? How much are the closing costs and will the Seller help out with these? Should I go FHA, VA, Conventional, or USDA? Fixed rate or adjustable rate? What do I have to get together for my loan application? There are 10,000 lenders competing for your mortgage business. The days of simply walking into the community bank and negotiating with the loan department manager are over. Today, you can apply for a loan over the Internet or even use a mortgage broker to shop for your loan with hundreds of lenders. When choosing a lender, you want to avoid apples to oranges contrasts by comparing fixed rates to fixed rates, not fixed to ARM's. What appears to be a great interest rate can be skewed by higher loan fees and closing costs…compare APR’s. Again, ask the lender to provide a Good Faith Estimate and Truth-in-Lending Disclosure Statement as this will answer a lot of questions up front. Need some help or advice on what to do once you have it…again, I am just a phone call away!!! To protect both you as a buyer, as well as the seller, it is a good idea to purchase or negotiate a home protection plan or what is commonly called a “residential service contract”. What exactly is it? A home warranty, or home protection plan, is a service contract, normally for one year, which protects homeowners against the cost of unexpected repairs or replacement of their major systems and appliances that break down due to normal wear and tear. It can also cover swimming pools, wells, and septic systems as well. A negotiable contract between the buyers and sellers which does not overlap or replace homeowner's insurance policy, this type of warranty can save the new homeowner lots of headaches, as well as put seller's fears to rest. The warranty covers mechanical breakdowns, while insurance typically repairs the related damage. For example: if a hot water heater burst and destroyed a wall in your home, the warranty would repair the water heater and your insurance would pay to fix the wall. This is usually negotiated “up front” in your offer to purchase a home and I always recommend it!!! There are also many companies to obtain this type of warranty with. Ask me for a recommendation!!! They can be. A foreclosure property is a home that has been repossessed by the lender because the owners failed to pay the mortgage. Thousands of homes end up in foreclosure every year, and we are experiencing a record high in these foreclosures recently and everyone is tuned-in to looking for that “great buy"!!! Economic conditions affect the number of foreclosures, too. Many people lose their homes due to job loss, credit problems, and/or unexpected expenses. It is wise to be cautious when considering a foreclosure. Many experts, in fact, advise inexperienced buyers to hire an expert to take them through the process. It is important to have the house thoroughly inspected and to be sure that any liens, undisclosed mortgages or court judgments are cleared or at least disclosed. And not every foreclosure is handled and purchased in the same manner as there are many types of foreclosures and pre-foreclosures, commonly called “short sales”!!! Just know thoroughly what you are getting into!!! Yes. Judicial foreclosure action is a proceeding in which a mortgage, a trustee or another lien holder on property requests a court-supervised sale of the property to cover the unpaid balance of a delinquent debt. You should be aware that foreclosure properties are sold "as is," meaning limited repairs have been made but no structural or mechanical warranties are implied. HUD may also require a “repair escrow” before you can obtain an FHA loan on these properties. You can only purchase a U.S. Department of Housing and Urban Development property through a licensed real estate broker, who places a bid on your behalf electronically and by certain deadlines. This is serious business and once an offer is made electronically, there is NO turning back or changing your mind and the government does NOT take kindly to bidders doing so, as this could prevent another purchaser from obtaining the home and is considered fraud. You can only purchase HUD-owned properties through a licensed real estate broker. 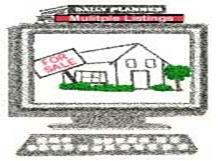 I can obtain a list of HUD-owned properties for you, depending on the area you are most interested in…just ask!!! Buying a foreclosure property can be risky, especially for the novice. Usually, you buy a foreclosure property "as is," which means there is no warranty implied for the condition of the property (in other words, you can't go back to the seller for repairs). The condition of foreclosure properties is usually not known because an inspection of the interior of the house is not possible before the sale. Most of the time, electricity, gas, and water are turned off!!! In addition, there may be problems with the title; though that is something you can check out before the purchase. Maybe. One reason there are few bidders at foreclosure sales is that it is next to impossible to get financing for such a property. You generally need to show up with cash and lots of it, or a line of credit with your bank upon which you can draw cashier's checks. Many experts recommend that before you make such an investment, first find the least desirable house in the best neighborhood. Then do the math to see if what it would cost to bring up the value of that property to its full potential market value is within your budget. If you are a novice buyer, it may be wiser to look for properties that only need cosmetic fixes rather than run-down houses that need major structural repairs. And as always…GET A HOME INSPECTION!!! Yes. Qualified rehabilitated buildings and certified historic structures currently enjoy a 20 percent investment tax credit for qualified rehabilitation expenses and local taxing entities have substantial property tax breaks for these homes. A historic structure is one listed in the National Register of Historic Places or so designated by an appropriate state or local historic district also certified by the government. These are very hard to find as well!!! The tax code does not allow deductions for the demolition or significant alteration of a historic structure and Homeowner’s Associations have definite rules as to what you can and cannot do in the repair of these homes (down to the last doorknob replacement), as well as some Architectural Control Committees and City governments and this could cost you more than you think you may be prepared for. Plans and specifications for the proposed work must be submitted for architectural review and cost estimation, usually to more than one entity, so be prepared as this usually and dramatically slows down the process. Even the smallest details can be scrutinized. Mortgage proceeds are advanced periodically during the rehabilitation period to finance the construction costs. KEYWORDS HERE ARE: DO YOUR HOMEWORK AND BE PREPARED!!! Yes. If you need a home loan to buy a "fixer-upper" and remodel it, look at the U.S. Department of Housing and Urban Development's Section 203(K) loan program. The program is designed to facilitate major structural rehabilitation of houses with one to four units that are more than one year old. Condominiums are not eligible. While hiring contractors recommended by friends is usually a safe route, never hire a construction professional without first checking him or her out. Also, call your local Better Business Bureau to see if there are any complaints on file. Ask for references and check them out or ask me for a list of suppliers and subcontractors that our office recommends based on work and relationships already established!!! Depends. Remodeling magazine produces an annual "Cost vs. Value Report" that answers just that question. The most important point to remember is that remodeling a home not only improves its livability for you but its "curb appeal" with a potential buyer down the road. Just ask…they are everywhere. You can find distressed properties or fixer-uppers in most communities, even wealthier neighborhoods. A distressed property is one that has been poorly maintained and has a lower market value than other houses in the immediate area. While condos never had the kind of appreciation experienced by single-family homes in the go-go 1980s, most ultimately have not lost value, say some experts. And with high prices in many urban markets and more single homebuyers in the market than ever before, the market for condos is strong, especially in downtown Fort Worth and it’s Cultural District. Condominiums have held their value as an investment despite economic downturns and problems with some associations. In fact, condos have appreciated more in the past few years than when they first came on the scene in the late 1970s and early 1980s, experts say. The rise of the Baby Boomer generation should continue the trend. While there are lots of reports about homeowner's association disputes and construction-defect problems, the industry has worked hard to turn its image around and sales, especially in Fort Worth are on the rise!!! Elected volunteers who serve on association boards are better trained at handling complex budget and legal issues, for example, while many boards go to great lengths to avoid the kind of protracted and expensive litigation that has hurt resale value in the past. Meanwhile, changing demographics are making condominiums more attractive investments for single homebuyers, empty nesters, baby boomers, and first-time buyers in expensive markets. When run properly, homeowners associations maintain the common grounds and keep civility in the complex or neighborhood. If you follow the rules, the association should not intrude on your privacy or cost you too much in association dues. Call and meet with the association president. If you are the type of person who despises intrusions into your private life and the president seems more interested in gossip about the residents than maintaining the property, this may not be the right condo complex or neighborhood for you. If you are buying a rental income property and applying for a loan to do so, the lender will require an area rent survey by a certified appraiser and appraisers are under tight scrutiny these days not to overstate this. The amount a landlord can expect to receive in monthly rent largely depends on what the property has rented for in the past, the condition of the building, its location and the current housing market. Lenders also look at other cash-flow considerations. They want to know if you have enough reserves on hand to cover predictable and unforeseen expenses, such as property insurance, taxes, regular maintenance and repairs, as well as potential vacancies. Some real estate experts predict that vacation homes will appreciate in value due to rising demand from the aging Baby Boom generation. You also can depreciate the property if you live in the house less than 14 days a year. Always consult a professional Tax Consultant about any questions regarding any new tax laws that may have taken effect recently though. Shopping for the best interest rate possible has always been the consumer's primary objective when borrowing money. As well it should be! The challenge with this strategy is that there is much misleading information released on the subject by various media. Internet web sites and email marketing, along with other media such as radio, television and billboard advertising, have brought the importance of interest rates to the forefront of consumers' minds. The problem for the consumer with this type of marketing is that it is designed to make the lender's phone ring. Often, the advertiser offers a ridiculously low interest rate, with the intent of using a "bait-and-switch" technique once the client is reeled in. This is often done through short pricing. Short pricing is a term that is used when a lender offers an extremely attractive interest rate, but that rate is only locked-in for a very brief period of time. The average consumer enters into a purchase contract to buy a home for at least 30 days. Pricing on an interest rate locked in for a 7-day period is of no use to most prospective home buyers. It simply isn't enough time to complete the transaction. While the billboard advertising or Internet banner ad may boast a terrific rate, the lock-in period is often not realistic in terms of providing enough time to negotiate a purchase contract and close the deal. Be very careful when shopping for interest rates. Make sure that when you are quoted a rate, you are asking the broker what the lock duration is. Make sure that lock period allows you enough time to complete your purchase transaction. 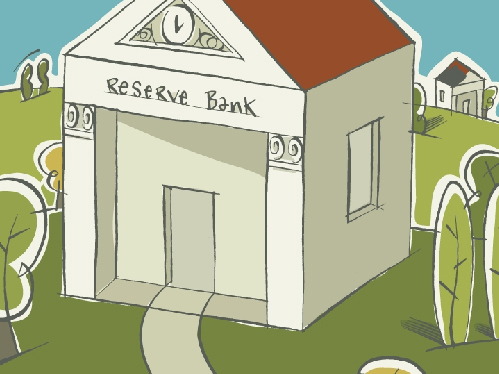 Another common marketing ploy that makes interest rates appear attractive is geared around the manner in which fees are presented. All lenders are required by law to state the real cost of the financing through the Annual Percentage Rate (APR) each time an interest rate is quoted in advertising. APR takes many of the fees associated with the loan into consideration, and it is usually listed in fine print as a disclaimer. Advertisers often list a low interest rate in large bold type, but the higher APR indicates in fine print that several points are being charged to get that rate. While APR can be helpful in comparing rates seen in advertising, it is important for consumers to know that lenders use different methods to calculate APR. Hence it is not an entirely failsafe method for comparing interest rates. Additionally, the consumer must take into consideration that the interest rate is not the only important factor in obtaining financing. Another equally important question to answer is, "How long do you need to borrow this money?" The length of time you need to borrow the money has a profound impact on whether or not you should be paying upfront fees (points), and likewise has bearing on your loan program selection. Statistically, homeowners move every 7 to 10 years. One of the common mistakes made by home buyers is automatically selecting a 30-year fixed rate loan program for financing instead of evaluating other options. The chance of needing the financing for 30 years is actually slim-to-none. If the buyer is somewhat transient in their job or is planning a family in the near future, the home may not really meet their long-term needs. Buyers are often solicited with programs that are contingent upon 30-year financing. The interest rates that are offered, regardless of how low they might be, are often irrelevant as rates are dependent upon several factors, including down payment and credit score. If a buyer has at least 5% for a down payment, an interest rate that is fixed for three, five or seven years may be a much more realistic option. This allows the buyer to capitalize on a low introductory rate and save a significant amount of money, which can then go toward the down payment on their next home. It is of utmost importance to work with an experienced loan consultant that understands some of the practical aspects of financial planning. A well-versed consultant will ask you many questions about your short- and long-term goals, and assist you in choosing a loan program that is truly suited to those goals. The process of purchasing a home is often much more complex than the average individual expects it to be. Items involved in your purchase contract can have a significant impact not only on the success of your purchase transaction, but on your stress level as well. I have listed out some of the important items you should be aware of, that require you to make decisions as a buyer entering into a purchase contract. Loan contingency is the period of time the seller is giving you to obtain full, formal loan approval. It is important to include a financing contingency in your offer, as it makes the transaction dependent on you receiving the mortgage you've applied for. It specifies your cancellation rights if you are unable to obtain financing. This contingency is typically between 15 and 30 days depending on what has been negotiated in the contract. The earnest money deposit you make at the time the offer is accepted will be put in jeopardy once the contingency for the loan has expired. In fact, pursuant to the terms of the contract, if the loan contingency has expired and you fail to close the purchase transaction, you could lose your earnest money deposit and not have the failure of obtaining loan approval to lean on as an excuse. Written pre-approval will help to eliminate problems in this area. Please note: pre-approval is not the same as pre-qualification. Seeking pre-approval for financing prior to making an offer on a property is a sound strategy that can help you get the best deal possible, especially if you plan to make a minimal down payment. The seller is often leery of the stability and reliability of the buyer if the buyer is only capable of making a down payment of 10% or less. This can cause the buyer to lose a significant amount of negotiating ability, by being perceived as a weak buyer rather than a strong one. This is why it is very important to get full loan credit approval in advance and provide a written confirmation of the loan approval when an offer is made. This shows it is a done deal and you are perceived to be a cash buyer. The contract period is the period of time in which all due diligence must be completed, including obtaining loan approval, property appraisal, home inspection reports, termite inspection, etc. Give yourself enough time for all due diligence to be completed for this very important purchase you are about to make. Typically, purchase contracts are drawn up for a period of 30, 45 or 60 days. However, it is really not uncommon for a purchase contract to be written with terms in excess of 60 days if the parties involved need that long of a period to complete all aspects of due diligence. As part of the negotiation in your purchase contract you and the seller will mutually agree upon the amount of time needed to complete all the home inspection procedures that are required. Utilizing an outside third party service to complete these inspections is highly recommended. You will be provided with a report by the home inspection company that you should review very thoroughly to make sure there are no material defects in the property that you were not aware of, and which could subsequently have an impact on the value of the property. Once your home inspection contingency has expired, you no longer have the leverage to go back and renegotiate with the seller to resolve any issues revealed by the home inspection. If there are material defects, you and your real estate agent should renegotiate either a reduction in the purchase price to offset the cost of any necessary repairs or having the seller make the repairs prior to the close of the transaction. Buyers with limited cash reserves should most likely negotiate to have the repairs made prior to closing. A termite inspection is required by the lender if it is listed in the purchase contract. The lender may also require an inspection if the appraisal states there is evidence of termite damage. On FHA loans inspection is required only under the following circumstances: when there is evidence of active infestation, if mandated by the state or local jurisdiction, if customary to the area, or at the lender's discretion. If termites are present it is up to both parties to determine who will be responsible for the remedy of the problem. When you negotiate your contract make sure you state up front whether you want the property checked for termites. It is often the case that when the buyer and seller are unable to agree upon a specified closing date for the transaction, the real estate agents will negotiate a "rent or lease back" period. This means the transaction closes, the loan funds and ownership of the property is transferred into the buyer's name, but the buyer does not take occupancy of the property until several days later. In this scenario, the buyer sets up a rental agreement, in which the property is leased back to the seller. An important footnote to this somewhat common strategy is to make sure the seller is not occupying the property in a lease agreement for more than 30 days after the close of the purchase transaction. This would constitute a non-owner occupied purchase in the lender's eyes, and would cause the terms of the loan to change radically. Depending on the seller's eagerness to close the transaction, the seller of a property will often become aggressive and offer to pay some or all of the closing costs, origination points and/or pre-paid items (interest, hazard insurance, tax escrows) associated with the purchase on the buyer's behalf. This common strategy can be very beneficial to the buyer, particularly if the buyer is short on funds to close. It can also be the vehicle that effectively drives the interest rate down and provides the buyer with a more affordable monthly payment. Note that there are limitations on how much the seller is permitted to contribute, depending on the loan-to-value ratio. The typical seller contribution is from 3% to 9% of the purchase price, based on the size of the down payment. Seller contributions may sometimes be isolated to non-recurring closing costs and/or origination points only. The lender will not permit the seller to contribute funds back to the seller after the close of the transaction to accommodate repairs to the property. Items such as roof leakage or new carpet cannot be covered by any seller contribution clause. Origination points are often misunderstood. Points are nothing other than interest paid at the time of closing to obtain a lower interest rate on a loan. One point is equivalent to 1% of the loan amount. If you are going to borrow $300,000 on your loan, one point would equal $3,000. This generally generates 1/8 to 3/8 of a percent lower interest rate, depending upon the loan program. When does it make sense to pay points? Paying points is a prudent financial move, if you are planning to be in the loan for a long period of time. Again, one of the most important questions to address when you borrow money is, "How long do you need to borrow this money?" This will answer the two all-prevailing questions you will have, which are 1) Should I pay points? And 2) What loan program is best for me? Notice that the question is not geared to, "How long do I plan to live in the home?" but more appropriately, "How long am I likely to be in this loan?" How long you will be in the loan is not only affected by the tenure that you own the home, but also the probability of seeking a refinance at some point in the future. As a general rule of thumb, you will need to be able to recuperate the total cost of the points in a period of time that is less than the amount of time you will need to borrow the money. Here's an example. Let's say you are going to borrow $300,000 for your mortgage, and choose to pay one point, which equates to an initial up front cost of $3,000. If paying one point up front saves you $100 a month, this means it will take you 30 months or 2.5 years, to recuperate the cost of the point that you paid. If you refinance the home anytime before that 30-month mark, or decide to sell the home, you will have effectively wasted money. However, if you keep that loan for longer than a 30-month period of time, it is a prudent financial move. When deciding whether or not you should pay points, take into consideration where interest rates are at when you seek financing, and compare that to historical market trends. When interest rates are at historical lows, it makes much more sense to pay points, especially if you think you will live in the property for an extended period of time. Historically low rates, combined with the fact that you know you do not intend to move would indicate you will have longevity in the loan. It is unlikely rates will go down, giving you incentive to refinance. Rates are cyclical. When interest rates are off of their historical lows, and higher than they generally are, we know that there is a strong likelihood rates will eventually come down. This is certainly no time to pay points. The chances of refinancing at some point in the future are extremely high, and therefore, you would not need to be in this loan for a long period of time. Your credit score is a major factor that will be considered by the lender when they review your loan application. They want to know what your credit history is, and whether you have the ability to pay back the loan you are requesting. In short, good credit translates into lower rates for the home buyer and less risk to the lender. Credit scores can range between a low score of 300 and a high of 850. The higher the client's score is, the less likely they are to default on their loan. We will run a credit report to determine what your credit score is, and if necessary, we can point out some simple ways to help you improve your credit score without enlisting the help of a credit repair service. Once you fill out a loan application and enter into the loan process, you should not run up your charge cards or make any major purchases! You also should not apply for any other type of new credit, as this could negatively impact your credit scores. Today, many programs limit your borrowing ability if you have a low credit score. If you do have a low credit score you may still be able to obtain financing, just be prepared for both a higher interest rate and higher down payment requirements. While you may not get the interest rate you had hoped for, it is an opportunity to start building up your credit again. Once you begin making mortgage payments on time and in full, your credit standing will improve and we can seek to refinance you at a lower rate as soon as the opportunity arises. Sometimes we may determine the need to refer you to a credit repair specialist. In some cases, borrowers have seen significant improvement in their credit scores in as little as 3 to 6 months, allowing them to qualify for the mortgage they desire. If you haven’t received a copy of your credit report or haven’t seen it in quite a while…you can obtain one for free once a year…just ask me how!!! Mistakes are made, even by the 3 credit bureaus, so it is always a good idea to stay “on top” of it and regularly!!! Lenders attach pre-payment penalties to loans to ensure that the loan will be profitable for them. As a general rule of thumb, I do not suggest that you accept a pre-payment penalty as a part of your loan structure. One of the most important aspects of financial planning is to have options with your money. Restrictive clauses such as a pre-payment penalty can prohibit you from maneuvering when it is necessary or when other opportunities arise. If you want to accept a pre-payment penalty clause in your loan, it is much more advisable to go with a "soft pre-pay." This only penalizes you in the event of a refinance, but not if you decide to sell the home. Interest rates have dropped significantly many times over the last 15 years. Many homeowners have not been able to take advantage of lowered rates by refinancing, because their hands have been tied by a daunting pre-payment penalty. Pre-payment penalties will generally provide you with a slightly lower interest rate in exchange for the pre-payment penalty clause. Mortgage professionals will sometimes push the benefits of a pre-payment penalty so they can beef up their commission. Be very leery of this type of sales pitch! A junk fee is a derogatory term defining extra fees, which are charged as a dollar figure rather than a percentage of the loan amount. It is important to know that you can often negotiate these fees down or have them removed if they have not been properly disclosed to you. The lender is required to provide you with a Good Faith Estimate disclosing their fees within three days of your application. Fees associated with the following are NOT considered junk fees: appraisal, credit report, escrow or attorney fees, title search, title insurance, document recording, notary, tax service, flood certification, title endorsements, courier, and survey. These are legitimate fees charged by third parties and are necessary to complete the transaction. A mortgage in which the interest rate is adjusted periodically based on a pre-selected index and margin, also referred to as the renegotiable rate mortgage. The interest rate that reflects the cost of a mortgage as a yearly rate. This rate is likely to be higher than the stated note rate or advertised rate on the mortgage, because it takes into account points and other credit or closing costs. The APR allows home buyers to compare different types of mortgages based on the annual cost for each loan, however not all lenders calculate APR the same way. This is when the lender and/or home builder subsidizes the mortgage by lowering the interest rate during the first few years of the loan. While the payments are initially low, they increase when the subsidy expires. This is a short-term interim loan for financing the cost of construction. The lender advances funds to the builder at periodic intervals as the work progresses. Prepaid interest assessed at closing by the lender. Each point is equal to 1% of the loan amount, i.e., two points on a $100,000 mortgage would equal $2,000. Discount points are charged to reduce the interest rate. 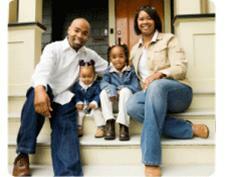 Down Payment Assistance Programs are funds given to buyers to assist with the purchase of a home. Buyers do not have to repay these funds. There are two types of DPAs: those involving seller contributions and those provided by the government which are usually local programs. Most of these programs disappeared in 2008. 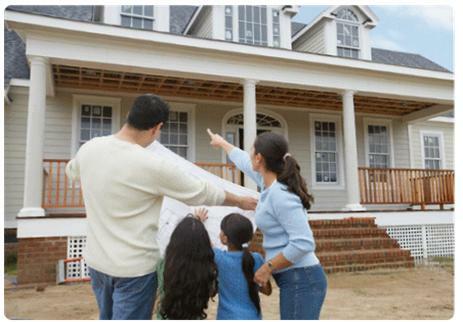 A loan insured by the Federal Housing Administration open to all qualified home purchasers. While there are limits to the size of FHA loans, they are generous enough to handle moderately-priced homes almost anywhere in the country. 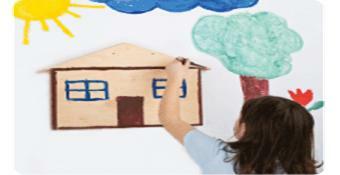 All types of Mortgage Insurance protect the lender in the event of default. There are two types of FHA Mortgage Insurance. Up-front Mortgage Insurance (MIP), paid at closing and Monthly Mortgage Insurance, paid monthly with the mortgage payment. Upfront premiums range from 1.25% to 2.25% of the loan amount and monthly premiums range from 0.50% to 0.55%, depending on the borrower's credit score and the loan-to-value. Mortgage loans with special qualifying terms for those who have never owned real estate or have not in the previous 3 years. Although the programs and terms vary by state, they often offer down payment and closing cost assistance. Loan-Level Price Adjustments are automatic, cumulative fees based on credit scores and the amount of your down payment. Fannie Mae (FNMA) and Freddie Mac (FHLMC) levy these fees on borrowers with credit scores below 720. They have nothing to do with the mortgage company or its various products and cannot be negotiated away. Negative amortization occurs when the monthly payments are not large enough to pay all of the unpaid balance of the loan, therefore increasing the loan balance and going in a "negative" direction. In this particular scenario, a borrower can literally end up owing more money than they originally borrowed. The reason that this occurs is because on a negatively amortized loan, the borrower is given several different payment options. OPTION 1: To pay what is known as the fully indexed payment. This is the margin plus index on the adjustable. This payment, which is typically the highest of the options, will prevent you from going negative. OPTION 2: An interest only payment. You would not be going negative by making this payment either, but you would not be decreasing the principal balance on your loan. This is because you are paying only the interest portion and no additional principal to your loan. OPTION 3: (And the one that most often gets people into trouble...) The negatively amortized payment. This is a payment that not only does not cover the principal, but doesn't cover all of the interest owed on the monthly payment, therefore accruing negative equity as a result. Fee charged by a loan originator to provide the borrower with a lower interest rate. Usually charged as a percentage, each point is equal to 1% of the loan amount. Also known as total monthly housing expense, this is an acronym for the principal, interest, taxes and insurance. "Piggy Back Loan" is a slang term, which really is another way of describing 1st and 2nd mortgages that close concurrently. In today's mortgage lending environment, obtaining a piggy back loan can be very difficult if a borrower has less than 20% for a down payment. In such instances, obtaining one mortgage with Private Mortgage Insurance may be the only option. See Private Mortgage Insurance. In the event that you do not have a 20% down payment, the lender may allow a smaller down payment, sometimes as low as 3%. However, with a smaller down payment, borrowers are usually required to carry private mortgage insurance on the loan. Private mortgage insurance comes in two forms: upfront, paid at closing, and monthly. A lender may require some combination of both upfront and monthly mortgage insurance. The amount required is determined based on program type, property type, credit score and loan-to-value. Title insurance protects a real estate owner or lender against any loss or damage they might experience because of liens, encumbrances, or defects in the title to the property, or the incorrectness of the related search. It protects against claims from various defects such as another person claiming an ownership interest, improperly recorded documents, fraud, forgery, liens, encroachments, easements and other items that are specified in the actual policy. Approves (or declines) funding to potential home buyers, based upon factors such as credit, employment, assets, etc., and matches approved risks with appropriate rates, terms and loan amounts. Mortgage loans available to eligible US veterans. VA guaranteed loans are made by private lenders, such as banks or mortgage companies, for the purchase of a home for a buyer's own personal occupancy. These loans offer competitive rates and require little or no down payment. Let us Help You Find Your Dream Home!! FROM RE/MAX of Corsicana & LakeSide Dreams! 1. Apply for your new mortgage and complete any forms requested. 3. Speak with an insurance agent concerning what insurance is required and when. Do you need riders to cover your valuables during the move? Are they covered while in your car? Against theft? Damage? To what extent? 4. Make sure all insurance companies know of your move, including homeowner's or renter's insurance and your automobile insurance. Don't forget coverage for recreational vehicles and trailers. 5. Notify Telephone Company. Apply for service at your new location as soon as you have enough information to avoid a long wait for start up service. Now might be a good time to purchase a cellular phone that can assist you while moving, as well as providing telephone connections at your new address. 7. Notify landscape and pool service, trash removal firm and any other regularly scheduled services. Their contract is with you, not your house. They will look to you for payment, even if you no longer own the property. 8. Arrange to pay bills and change newspaper/magazine subscriptions. 9. Complete your preparations to change banks and any records there. Order new checks and make preparations to transfer funds if necessary. 10. Get change of address cards, fill them in and distribute them. 11. Return all library books, borrowed items, school property, and other items you find while packing that do not belong to you. 12. Clear your traffic record of fines and other obligations before you move from the area, when such details may be difficult to take care of. 13. Arrange for pet care or find them suitable new homes. 14. Notify schools, churches, voter registration, clubs, classes, standing appointments, and any other places which will expect you to continue their services and may even bill you for them. 15. Visit your physician, pharmacy, veterinarian, optician, mechanic, dentist and any other place that has your records. If you are moving out of the area, make a last appointment to obtain services and copies of your records. It will prevent the stress of having to find these services immediately upon your move.